“Into the North Wind” chronicles Jill Homer’s record-breaking bicycle ride across Alaska on the Iditarod Trail. Jill is one of those “accidental athletes” who stumbled into endurance racing shortly after she moved to Alaska in 2005. After a hundred miles, her first race only scratched the surface of the historic trail that spans a vast and frozen wilderness. Ever since, she dreamed about the chiming of ice crystals at thirty below zero, black spruce shadows in the moonlight, the ethereal dance of the Northern Lights, and a journey that could take her deeper into this transcendental world — the thousand-mile race to Nome. This account is not just a story about seeking beauty, overcoming setbacks and uncovering hidden strength — it’s a journey into the benevolent heart of the coldest, loneliest trail. 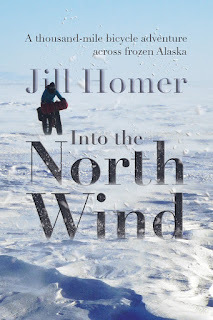 Jill Homer was just another naive young woman who followed a man to the Last Frontier — but it was Alaska that won her heart. This memoir is a love story about the wonderful, humorous, and sometimes harrowing experiences that await when a woman throws her heart to the wind just to see where it lands. After taking a job at a weekly newspaper in Homer, Alaska, Jill and her partner forge a new life in a town where artists and sport fishermen drive the local economy, grizzly bears roam through back yards, social outings feature death-defying ski trips or kayaking rough seas in freezing rain, and business attire means wearing three sweaters to an unheated office. 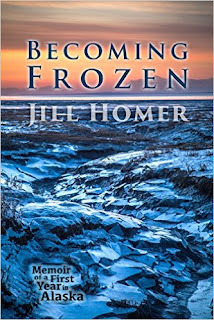 As Jill adapts to Homer's idiosyncrasies, she finds her own quirky hobby — riding a bike on snow. 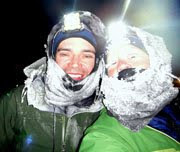 Despite having little in the way of an athletic background or talent, Jill signs up for a hundred-mile race across frozen wilderness. As the harsh Alaskan winter sets in, she launches a tenacious training routine that takes her far out of her comfort zone. Here, under the Northern Lights, battling exhaustion and extreme cold, Jill discovers the heart of Alaska. And there's no going back. Available in paperback and eBook on Amazon. "8,000 Miles Across Alaska: A Runner's Journeys on the Iditarod Trail"
In North America's Last Frontier, there are still untrammeled wildernesses where a man can stand alone in a region the size of entire states, where deep cold quiets every whisper of life and vast emptiness reigns. Alaska remains a mysterious place that, thanks to reality television, has captured the imagination of millions. Yet a minuscule fraction have acquired an understanding of the land afforded by exploring in their most vulnerable state — on foot, towing all of their supplies, wholly independent. This is the perspective of Tim Hewitt, an employment lawyer from Pennsylvania with a unique hobby — racing across Alaska on the Iditarod Trail. What compels a man to run, walk, and trudge a thousand miles across Alaska? “Because it’s there” isn't an adequate explanation. “As a challenge” or “for the adventure of it” are closer, but still too vague. The thousand-mile dog sled race on the Iditarod Trail is often called “The Last Great Race” — but there’s another, more obscure race, where participants don’t even have the help of dogs. The Iditarod Trail Invitational challenges cyclists, skiers, and runners to complete the distance under their own power and without much outside support. Tim Hewitt is the only person to have completed it more than three times. His actual number? An astonishing eight. Six of those, he won or tied. But no one who sees Tim Hewitt on the street near his law firm in Pittsburgh would ever suspect that battling hurricane-force blizzards is something he does in his spare time. Fifty-nine years old with a slim build, a bright smile, and cropped gray hair, he isn’t the stereotype of a grizzled Arctic explorer. He’s a talented amateur runner, a father to four daughters, a husband to an equally adventurous wife, and achiever of a truly distinctive accomplishment. Far more people have reached the summit of Mount Everest than Nome under their own power, and it’s incredibly unlikely that another person will ever try for eight. 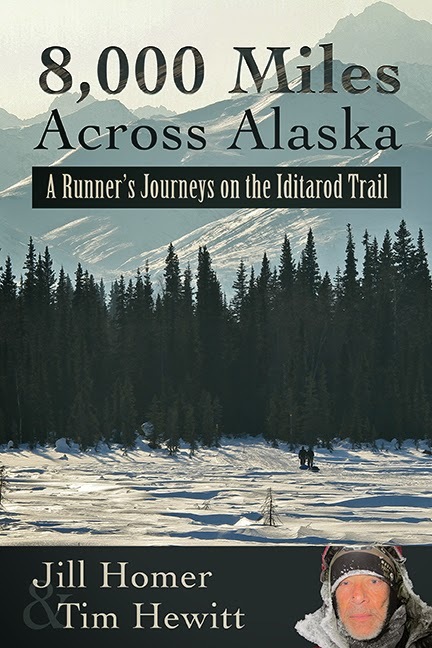 "8,000 Miles Across Alaska: A Runner's Journeys on the Iditarod Trail" chronicles Tim Hewitt's adventures across Alaska — the harrowing weather conditions, breathtaking scenery, kindness of strangers, humorous misadventures, humbling setbacks and heroic victories. From fierce competition with his fellow racers, to traveling backward on the trail to ensure the safety of his wife, to battling for his own survival, Tim Hewitt has amassed a lifetime of experiences amid the harsh miles of the Iditarod Trail. This is his story. Paperback available from Amazon and Barnes and Noble. Ebook available from Kindle, iPad, Nook, and Kobo/Android. Have you read the book? Let people know what you think. Check out other readers' feedback and leave a review on Amazon or Goodreads. 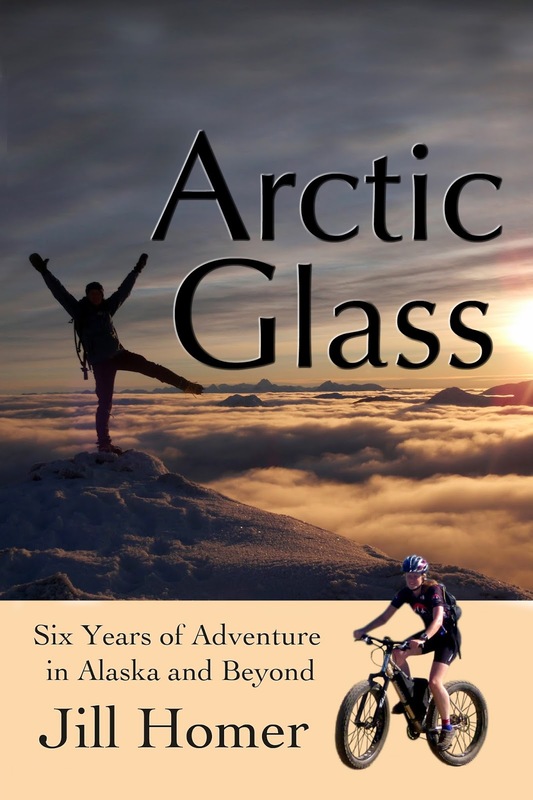 "Arctic Glass: Six Years of Adventure in Alaska and Beyond" is a collection of thirty-three essays from "Jill Outside." In 2005, Jill Homer launched her online journal, originally titled "Up in Alaska," with the intent to document daily adventures from the perspective of a small-town journalist who recently moved to the Last Frontier. Anecdotes about quirky Alaskan customs grew into musings about maintaining an active lifestyle during the long winters of the far north. Jill's early accounts of cycling misadventures drew readers from all over the world, who were curious about the strange notion of "snow biking." The blog quickly took on a life of its own as readers encouraged Jill to pursue a burgeoning interest in this esoteric extreme sport. What followed is a transformation that few could have predicted — Jill's development into an endurance athlete who crossed 350 miles of Alaska’s frozen wilderness under her own power, went on to complete a 2,700-mile mountain bike race, and eventually took up ultramarathon-distance trail running. This anthology compiles the best essays of "Jill Outside" from hundreds of posts that have appeared on the Web site, with commentary to provide a succinct timeline of events. The essays chronicle the adventures of an unlikely athlete who takes on harsh challenges in the frozen wilderness of Alaska, the Utah desert, and the Himalayas of Nepal. Endurance racing, overcoming seemingly impossible challenges, and self-actualization amid stunning outdoor landscapes are common themes in these compelling vignettes about "The Adventure of Life." Ebook available for Kindle, Nook, iPad, and Kobo/Android. Reader reviews available on Amazon, Goodreads, and LibraryThing. "Be Brave, Be Strong: A Journey Across the Great Divide"
Jill Homer, a newspaper editor in the isolated, soggy hamlet of Juneau, Alaska, has an outlandish ambition: Racing a mountain bike 2,740 miles from Canada to Mexico along the Continental Divide. Her preparations for the Tour Divide are equally ambitious: A 350-mile winter bicycle race on Alaska’s frozen Iditarod Trail, followed by two months of focused training during a summer sojourn with her boyfriend in the Utah desert. But in the tradition of best-laid plans, Jill’s dream begins to unravel the minute she sets it in motion. Less than twenty-five miles into the Iditarod Trail Invitational, Jill breaks through lake ice and suffers serious frostbite on her foot that forces her to drop out of the race. While she’s laid up on crutches and unable to train, Jill’s employer tries to coerce her into staying put. Then, just two days before they planned to embark on their sojourn, Jill’s boyfriend ends their eight-year-relationship. This final dismantling of expectations causes Jill to question everything she thought she knew about life, love and her own identity. Despite a lack of motivation and overarching desire to do something more conducive to “getting on with her life,” Jill embarks on a series of training rides to prepare her for the rigors of a self-supported endurance race. She spends long nights huddled in a thin sleeping bag beneath a wash of stars, trying to reconcile her heartbreak and uncertainty. Just days before the start of the Tour Divide, Jill travels to Banff, Alberta, where she meets kindred spirits who help spark greater perspective and new enthusiasm for a solo journey. On June 12, 2009, she joins 42 other racers at the start of the Great Divide Mountain Bike Route. Jill finds herself almost instantly in over her head, battling a deluge of loose gravel, rocky terrain, fatigue, violent thunderstorms, difficult route-finding, stream crossings, bear encounters, and seemingly insurmountable obstacles — and she hasn’t even pedaled out of Canada yet. On the third day, Jill meets a veteran Divide racer named John. They agree to ride together for the day, which stretches into several days as John settles into Jill’s pace and Jill enjoys the company of a methodical, results-driven athlete who loves cycling but seems so much unlike her in nearly every other way. They part ways in western Wyoming, and suddenly Jill finds herself facing nearly 2,000 miles of Rocky Mountains backwoods, completely alone. The difficulties compound quickly. Mud and weather slow her progress, knee pains intensify, and a rear hub failure nearly strands her in the harsh desert of the Great Divide Basin more than one hundred miles from the next town. Brake failure leads to a painful crash in northern Colorado. Amid the mounting demands, Jill’s sense of civility wears away and her emotions become those of a child, raw and affecting. But the adventure also swings toward the sublime, from the unconditional kindness of strangers to deliriously beautiful descents. Jill allows herself to believe the worst is behind her, unaware that the most jarring discovery still awaits. 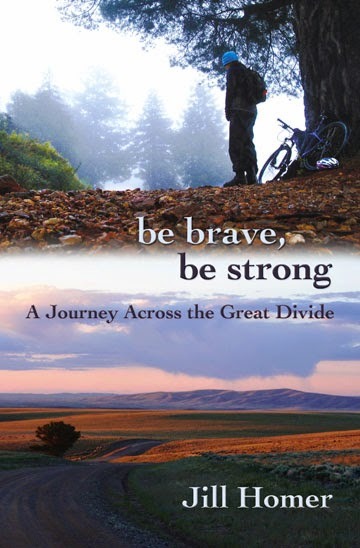 “Be Brave, Be Strong: A Journey Across the Great Divide” is the story of an adventure driven relentlessly forward as foundations crumble. During her record-breaking ride in the 2009 Tour Divide, Jill battles a torrent of self-doubt, anger, fatigue, loneliness, pain, grief, bicycle failures, crashes, violent storms, and hopelessness. Each night, she collapses under the crushing effort of this savage new way of life. And every morning, she picks up the pieces and strikes out anew in an ongoing journey to discover what lies on the other side of the Great Divide: astonishing beauty, unconditional kindness, and boundless strength. Paperback available on Amazon and Barnes and Noble. Audio book available on Audible. Ebook available for Kindle, Nook, Kobo, and iTunes. "Ghost Trails: Journeys Through a Lifetime"
Jill wasn't an athlete, at least not in the more insecure corners of her identity. What she was, was cold. And frightened. And alone in the frozen wilderness of Alaska, more than a hundred miles from the nearest outpost of civilization. As she struggled to maintain forward motion, she couldn't help but piece together the chain of life events that brought her here in the first place, to the Iditarod Trail, with nothing more than a bicycle and a few essential pieces of gear, in February. What possesses a timid Mormon girl from the suburbs of Salt Lake City, to sign up for the Iditarod Trail Invitational — 350-mile bicycle race across frozen Alaska? How was she possibly going to survive, let alone finish, this grueling adventure through the heart of her deepest fears? She muddled for answers from the wind, the mountains, the tundra, the faint trail she followed, and the ghostly trails of her memories. 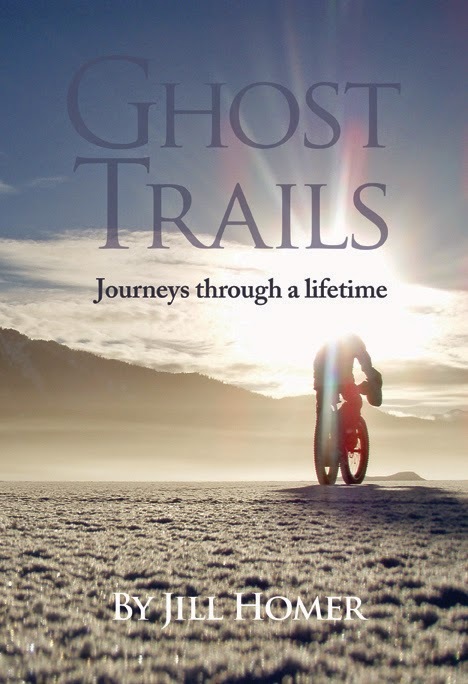 "Ghost Trails: Journeys Through a Lifetime" is the inspirational journey of an unlikely endurance athlete locked in one of the most difficult wilderness races in the world, the Iditarod Trail Invitational. Through her struggles and discoveries in Alaska's beautiful, forbidding landscape, Jill begins to understand the ultimate destination of her life's trails. "There is no ideology that can shield us from the searing wind, the frozen emptiness, and the desperate loneliness of a night in the Alaska Range at 20 below. And there are no words that can prepare us for the raw amazement, the sweeping beauty and the quiet joy spread across white, unbroken land. We find so much wonder it makes civilized life seem shallow, and so much pain it makes death seem kind. We find love we can’t express in a place so uncaring it breaks our hearts. We find that we’re stronger than we ever hoped to be and weaker than we ever imagined. We find that there is reason to hope, and there is always reason to hope, as long as weary hearts keep beating. And what we realize is that everything we were looking for was inside of us, all along." Reader reviews available on Goodreads and LibraryThing. What an incentive inspirational girl validating the saying in earnest " You can. If you think you can"
Thanks Jill for giving us all such incentives to live life to its fullest ~ And not be afraid of Never Giving Up! I haven't followed your blog in a couple years so I thought I would check back in to see what you are up to. Glad to see your still at it and still an inspiration. I have a son now and I hope one day to give him the books you have written. I love the three I have read so far and your a real inspiration for hard work and adventure. Keep enjoying life!